As you all know, I took a Plant Nutrition class last semester. It was really interesting and I learned a lot about the biology of how plants take up nutrients, and the chemistry of the soil solution. Each of us had to choose two forms of fertilizer to research and speak about to the rest of the class. It was a fascinating couple of weeks as folks talked about everything from worm castings to mined phosphorus from Florida. I wanted to research two things I have in abundance (and I'm guessing you do, too): Coffee grounds and eggshells. There are a lot of myths surrounding both, and in the course of my research, I was able to determine the truth of these two products and how they work in the soil. Let's start with coffee grounds. 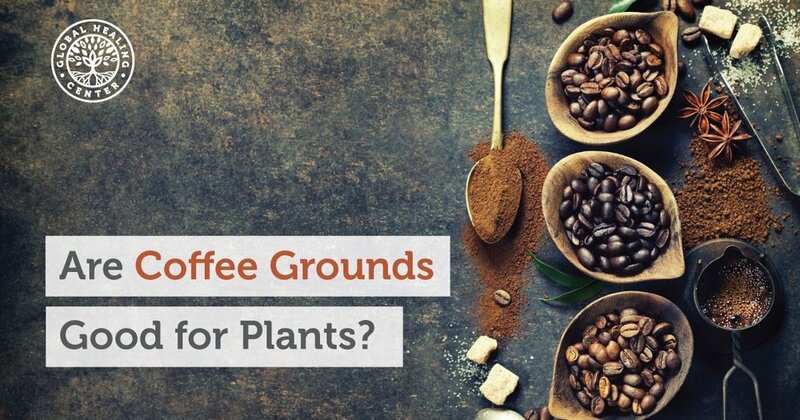 When you google "how to use coffee grounds in your garden," you will see fantastical claims: They improve disease resistance, repel ants and slugs, acidify your soil (lower the pH), add nutrients, earthworms love them, and they add tilth to your soil texture. Coffee grounds DO have a nice nutrient profile, with an NPK of 2-.06-.6. That's a nice, low amount of nutrients, with a good hit of nitrogen, some of it soluble. So they are definitely good for your soil in this regard. It's still best to add them to your compost first, so that they can be broken down before adding to your soil. However, you can sprinkle them around your plants. Just don't add a thick layer, because that will form a mat that air and water cannot penetrate. Coffee grounds are acidic, but they don't lower your pH. You would need an enormous volume of coffee grounds to change the pH of your soil. I remember adding them to my blueberries to acidify the soil; but that doesn't work. It is also a myth that snails or ants will be repelled by grounds. There is some evidence that they help to repel fire ants, but not Argentine ants, which is the variety most of us have in our yards. Grounds do not cause any barrier to snails or slugs at all. Worms will process coffee grounds just as they do any other food. And finally, grounds do nothing for disease resistance. So, to conclude: Definitely add your coffee grounds (and filters!) to your compost pile, where they will improve the nutrient content of your finished compost. Eggshells are a bit more complicated, because they are less well studied. But I was able to find pretty decisive research papers to help us figure out how to use them. One of the biggest claims is that slugs don't like to travel over the sharp edges, so the shells can protect your plants if sprinkled around them. This one has been debunked quite thoroughly. In fact I found a study where the conclusion was the slugs were actually attracted to the eggshells and decimated the plants even more readily. So don't use them for this purpose! The other big claim is that eggshells add lots of calcium to the soil. I can't tell you how many posts I've sen about adding eggshells to prevent blossom end rot in tomatoes. I assumed that was true and have used them myself for this purpose. Well, each eggshell does contain about 2000 mg of calcium, so if there was a way to put this back into the soil, that would be terrific. However, they don't readily break down. In fact, studies show that it takes many hundreds of years before they break down completely. So then you might ask, do they break down in water? That's been studied, and it's been found that they do not. So don't bother boiling your eggshells first. So then you might ask, do worms eat them? They do not; they don't have teeth and can't bite. So then you might ask, what about other microbes? Bacteria? Fungi? Protozoa? Well, there is very little research on this, surprisingly, but I did find a study where differing amounts of eggshells were composted, and the calcium content of the finished compost was higher in the piles that had greater amounts of eggshells. So that makes me think that something breaks them down. Eventually. Here's the deal: You won't reap the benefits, but your descendants might. HOWEVER. 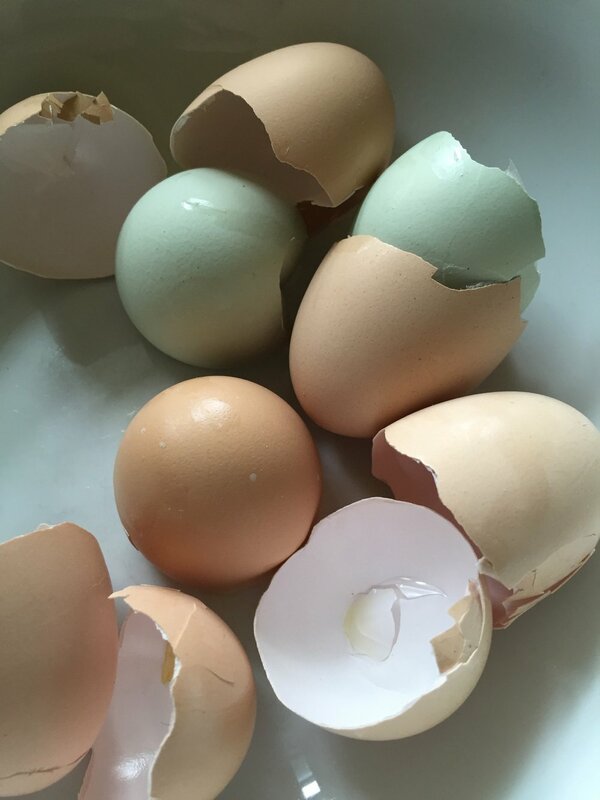 There is one way to get calcium from eggshells, and that's to pulverize them. Once pulverized, the shells can break down into soil solution and become available to the plants. Plus, worms can eat them in this form, and add them to their gizzards (worms digest food like chickens do, in the gizzard). So here's what we need to do: Put your eggshells on a baking sheet to dry. (DO NOT RINSE THEM. Eggshells have two layers - one hard, one thin and soft. This inner layer is full of organic matter that you want in your soil. ) When dry, run them through your blender, or pound them with a mortar and pestle. Then sprinkle on your soil or add to your compost. That's if you want an immediate calcium hit. If that's not a concern to you, you can just continue to add them to your compost in chunks. They do help to aggregate the soil, making nice channels for air and water, and eventually, they do become a part of the soil. It'll just take a long, long, long time.